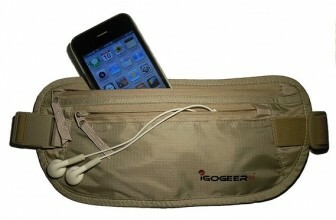 How Does The Eagle Creek RFID-Blocker Money Belt Stack Up? 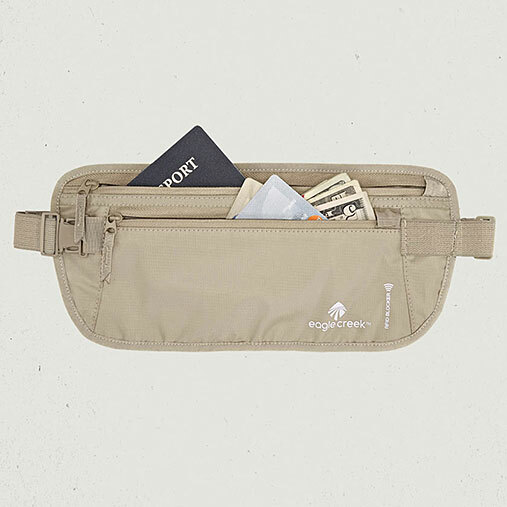 The Eagle Creek money belt isn’t going to win any awards for style, but it’s simple design and comfort make it a great little money belt. 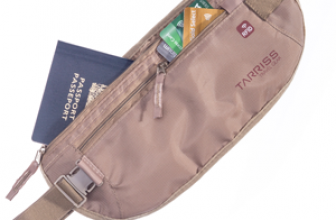 The belt features elastic adjustable straps and a reservoir pocket behind the wallet to store the straps when not in use. Speaking of the straps, they are quite soft and are fastened to the front of the wallet. 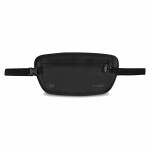 This creates a more secure feeling when wearing the belt and I’ve found other money belts without this feature can be less comfortable around the waist. 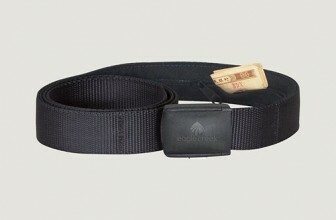 It’s made from the same rip-stop nylon found in many other money belts which keeps weight down and durability up. There have been some reports of the buckle on the straps breaking and the zippers not holding up. 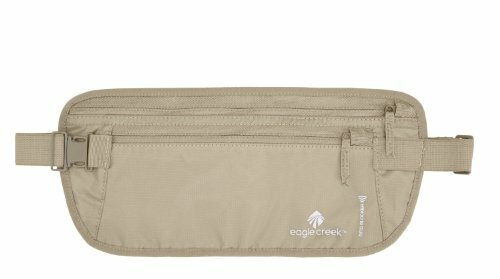 The Eagle Creek RFID-Blocker Money Belt comes in the one color “tan” and offers RFID protection for all your cards and IDs. The fairly standard looking zips have a small “pouch” when closed to prevent the zips of jiggling around. Not quite as secure as the Pacsafe Money Belt’s clicking system but handy nonetheless. The material is very thin and fits very comfortably under clothes when secured properly. 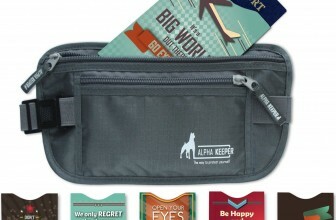 There are 2 zippered compartments, one with a mesh partition for passport and a couple of cards. Handy when you’re digging around for cash or your passport and need to find it in a flash. 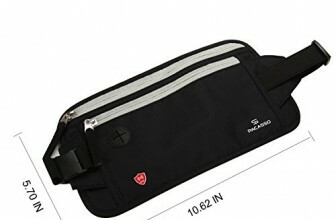 The wallet size itself is pretty standard compared to other money belts. Check out other Eagle Creek products on Amazon here, they specialize in travel ready luggage and have some great options. 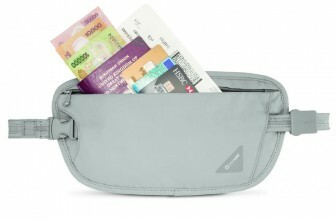 This is one of the most comfortable money belts I've seen with some cool features. 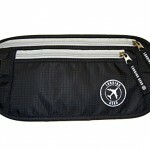 It's priced competitively, is ready for warmer weather and will fit everything you need in it's two zippered pockets. Some questions on durability hold it back slightly.